A premium line with supreme olive oil and cold-pressed olive leaves extract. A natural source of vitamins, minerals, amino-acids and antioxidants; nourish skin deeply while locking in moisture. In fragrances inspired by Greek nature. Wild Rose oil offers significant antioxidant, hydrating and brightening properties. In combination with Super C, it reduces fine lines and pigmentation while improving the overall texture. 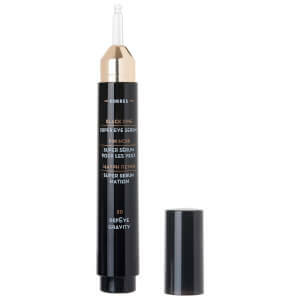 This revolutionary brightener is able to provide rapid results without the risk of irritation. Naturally balance skin and minimise pores, enriched with Pomegranate extract, salicylic acid and panthenol, this range helps reduce the appearance of pores, minimise redness and refresh the skin. Correct all signs of ageing. Boost skin firmness, re-contour, reduce fine lines and wrinkles with 3D Black Pine, Castanea Arcadia and Golden Krocus. A natural beauty breakthrough for targeted anti-ageing. Remove makeup and other impurities for luminous skin. A collection of cleansers, masks and scrubs to cater for a wide range of basic and more targeted skin needs. Enriched with natural ingredients, achieve radiant skin without irritation. Body care and fragrance inspired by nature, enriched with almond oil, active aloe, provitamin B5 and wheat proteins to enhance skin suppleness with long-lasting hydration. An innovative line that delivers on all fronts: moisturising, antioxidant protection, repair, hair growth, elasticity, shine and protection from colouring. Focusing on the hair’s natural defence mechanisms as well as the overall scalp and hair health both short and long term. Bringing together intense colours, smooth application and a great-performing natural approach. An ideal choice for an effortlessly flawless look. Men’s skin, body, hair and fragrance that respect the unique structure of men’s skin addressing the needs of men’s skin and hair naturally. Rich in minerals and natural ingredients to hydrate, nourish and energize skin. NATURAL. CLEAN. EFFECTIVE. NON TOXIC. HIGH PERFORMANCE. 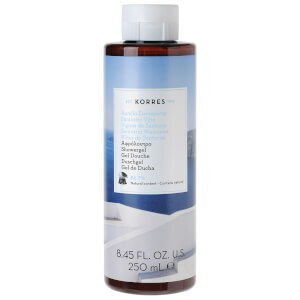 Greek pharmacist George Korres founded Korres based on his passion for capturing the best of nature using the latest scientific advancements and a commitment to clean, non-toxic beauty for our skin and planet. 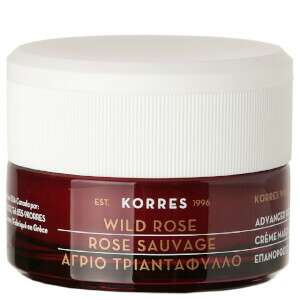 Inspired by the most powerful natural ingredients and traditions of Greece, Korres delivers clinically proven results with formulations that reflect a meticulous attention to detail that is the heart of everything we do. All our formulations are developed based on natural or certified organic ingredients. We avoid the use of harsh chemicals and substances that can be harmful to our skin and environment. We avoid the use of non-biodegradable ingredients. We use the Formula Facts table on our packaging to fully describe the percentage of natural content and the formula structure in a way that everyone can comprehend. FREE FROM: mineral oil, silicone, propylene glycol, ethanolamine and parabens. Dermatologically tested and cruelty free. Korres hand-picks olives from the silver-green olive groves of Crete for the products in the Pure Greek Olive Range. Organic Extra Virgin Greek Olive Oil provides long-term hydration to the skin for added nourishment and smoothness. 97% reported improved skin suppleness, elasticity and overall health. In a 2 week consumer use test. 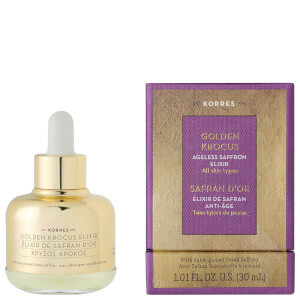 A precious golden serum infused with the immense antioxidant power of 1-day fresh Greek saffron to universally correct all signs of ageing. A buttery balm that melts on the lips and offers a shiny, tinted finish.